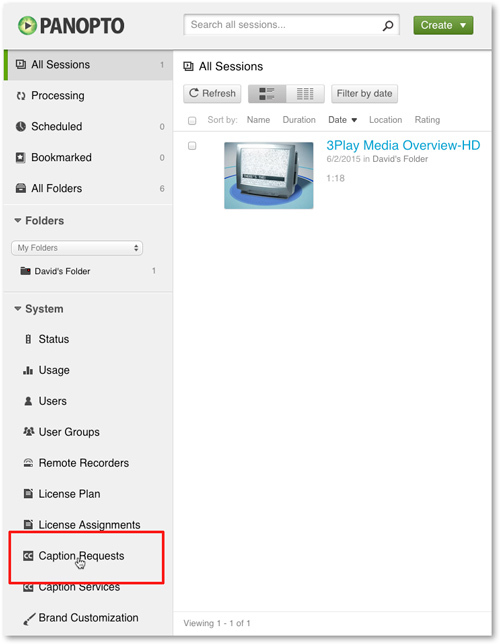 Follow the steps below to view the status of all closed caption requests sent from your Panopto account to your 3Play Media account. After logging into Panopto, click System. On the left-hand side of the page, click Caption Requests under the System options. You will be directed to a page where the status of all closed caption requests can be viewed.